If your uses of big data don't include informing and directing decisions about business opportunities, tactics and policies, you're falling behind. Modern computing systems let us process ever more complex algorithms, divining trends and patterns from burgeoning volumes of enterprise data. Business intelligence (BI) has come a long way from its early concepts, and still has a ways to go. The shift in 2015 is not in the tools for BI (though they're always improving), but in the way they are used to provide answers from the big data that they collect, said David W. Cearley of Gartner. What's new is the way that analytics is embedded in the business process. For example, recognition systems identify a shopper and provide that individual's purchase preferences and suggestions to salespeople, allowing them to assist customers more effectively. There are countless examples where uses of big data affect business outcomes. "Analytics is big for us right now," said Jared Hamilton, associate vice president of enterprise applications at Nichols College. The goal is to use data to ensure the best student recruiting and retention, and to engage students on their applications across a growing array of platforms, such as mobile devices, he said. This speaks to another of Gartner's emerging technology trends for 2015 and the future. For IT, this nuanced use of information shapes the way that data is stored, secured and handled. Long-term data retention means more traditional magnetic storage -- all the raw data acquired from sensors, devices and files from other sources has to live somewhere. BI initiatives can bump up storage requirements a lot, depending on how much data you're analyzing. To improve storage performance, data centers need some solid-state storage devices (SSDs). For the most demanding big data applications, expect to see SSDs in-memory (residing on modules alongside RAM DIMMs). When storage is directly available to the CPUs, it eliminates the disk interface bottleneck. 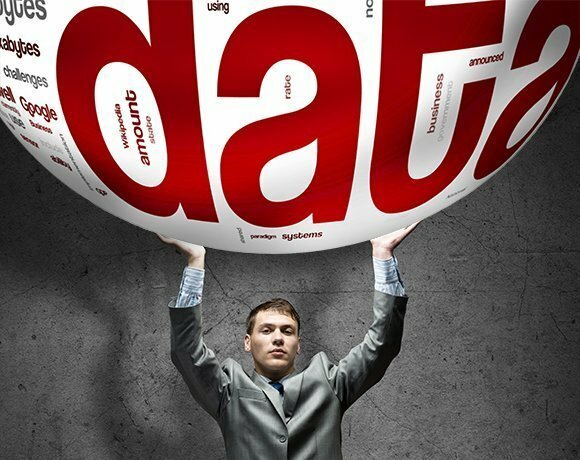 How are you coping with data storage increases? Is it costly? "Analytics is big for us right now." Raise your hand if you haven't heard that from some member of your organization - any organization, in any industry. The challenge is actually applying those analytics in a way that makes sense, and that's where a lot of organizations get stuck.